A sellout crowd of over 150,000 is expected on game day, and an additional 45,000 spectators are anticipated for the Honda Ridgeline Presents Bristol's Tailgate Party. More than 35 Doosan Portable Power light towers will be part of history in the making when Bristol Motor Speedway (BMS) hosts the largest crowd ever to watch a college football game. 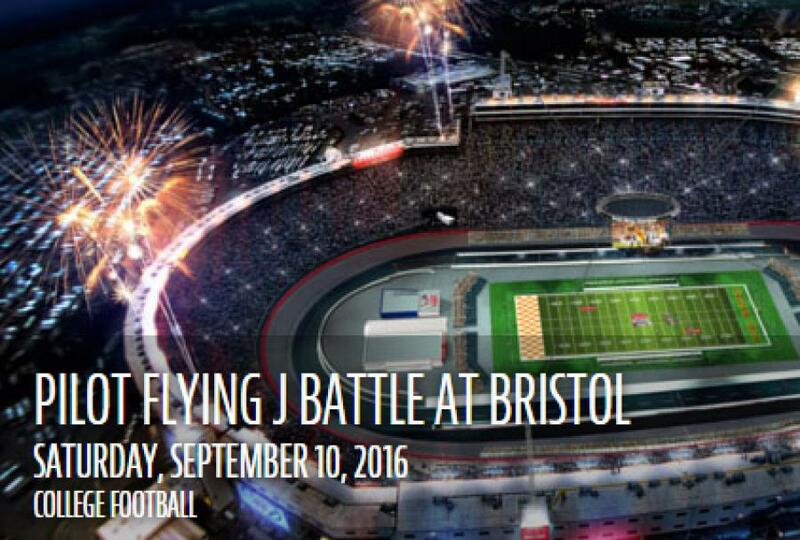 The Pilot Flying J Battle at Bristol is expected to set a new NCAA college football attendance record when the University of Tennessee Volunteers take on the Virginia Tech Hokies on September 10, 2016. A sellout crowd of over 150,000 is expected on game day, and an additional 45,000 spectators are anticipated for the Honda Ridgeline Presents Bristol's Tailgate Party starring Kenny Chesney with special guests The Band Perry and Old Dominion on Friday night, September 9, 2016. Safety and security are top priorities for BMS officials, but providing a great fan experience is also a focus for this first-of-its-kind event. Doosan Portable Power light towers will be in position during the Friday evening concert and Saturday night game. The utility players will provide necessary lighting for parking lots, campgrounds, sidewalks, entrances and exits, as well as areas of heavy traffic. On typical race days, Doosan Portable Power supplies light towers as part of a “traveling team” that shuttles between Bristol Motor Speedway and Charlotte Motor Speedway. Additional Doosan light towers have been requested for the Pilot Flying J Battle at Bristol weekend to accommodate the expanded crowd capacity in areas where installing permanent lighting isn't possible. Flexibility isn't the only key mark on the light tower stat sheet. Lockable side doors guarantee secured units and extended runtimes between 52 and 130 hours make it possible for the light towers to operate continuously during the two-day event, allowing BMS officials to focus on game day instead of on monitoring and refueling light towers. Transitioning the World's Fastest Half-Mile to a football field required installation of a state-of-the-art playing surface on the track's infield. Preparations for game day took place in a short amount of time following a NASCAR Sprint Cup race at the Speedway in late August. The September 10 game between Tennessee and Virginia Tech is the first of its kind to be played at Bristol Motor Speedway and will air on ABC's "Saturday Night Football" starting at 8 p.m. EST. For more information about Doosan Portable Power, visit www.doosanportablepower.com.